Private dental practice Milledgeville, Atlanta, Stone Mountain and Calhoun, Georgia, 1977-present. My areas of dental practice expertise include Restorative Dentistry, Cerec, Oral Surgery, Endodontics, Periodontics (including the laser assisted new attachment procedure), dental implant surgery(fixture placement and bone grafting), dental implant restorative, intravenous and oral conscious sedation. Volunteer Dentist at The Ben Massell Dental Clinic, Atlanta, Georgia(for care of the indigent) since 1977. American Academy of Cosmetic Dentistry, Main Podium, Spark Erosion Prosthesis, Miami, Florida, 1992. University of Washington Dental School, Dept. of Graduate Prosthodontics, 1994, Spark Erosion Prosthesis. United States Dental Institute, National Lecturer, 1984-91. Orthodontics for the General Practitioner. Atlanta South Metro Dental Study Group, 1992, Dental Implants. American Dental Association, San Francisco, California, 1993, Table Clinic, Spark Erosion Prosthesis. 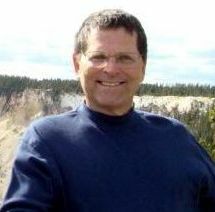 Dr. Lefkove has written or co-arthured numerous articles. If you would like to view these articles, please click here. Golf, windsurfing, kite boarding, skiing, snowboarding, road biking, mountain biking, whitewater kayaking, sea kayaking, water skiing. I also enjoy reading in my spare time.